March 8, 2013 marked the launch of the whole school development programme. 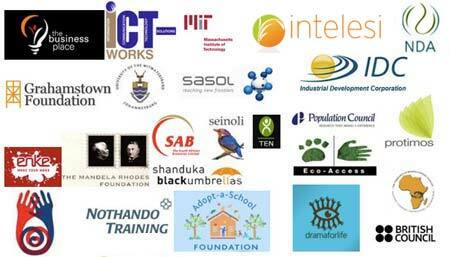 The programme aims to support quality education in South Africa. It employs the Department of Basic Education’s adopt a school model promoted by Basic Education Accord 2. It will be implemented in partnership with Adopt-a-School Foundation. On the day we directed the programme and performed Astro Detectives to a delighted audience that included Basic Education Minister Mrs Angie Motshekga, Adopt – a- School Foundation Chairperson Mr Cyril Ramaphosa, Industrial Development Corporation CEO Mr Geoffrey Qhena, Principals of schools that will benefit from the intervention and other several NGOs and corporates. The Royal Shakespeare Company research suggests that approximately 50% of school children across the world encounter the work of Poet and playwright William Shakespeare. Toward this end, the British Council South Africa partnered with Nobulali Productions on an international project aimed at understanding where, why and how Shakespeare is taught around the world; Shakespeare: A Worldwide Classroom. According to the British Council head of projects Remo Chipatiso; “the project had a direct link with our organisations’ Connecting Classrooms programme” adding that “connecting classrooms is an initiative designed to help young people learn more about international themes and become responsible global citizens”. On the other hand, Nobulali Productions Managing Director Lali Dangazele says the project presented synergies with their ShakeXperience™ Connect programme, which “aims to enhance dialogue on topical issues between learners and teachers in diverse contexts”. Countries that participated in the project included: China, United Kingdom, India, South Africa, Oman and United States of America. In South Africa, participating schools were Dendron Secondary Schools, Ridgeway College (Limpopo province) as well as Mondeor High School (Gauteng). The project ran from September 2011 to September 2012. Part of the project entailed meeting people who had a theatrical engagement of Shakespeare work (known as heroes and heroines). To celebrate the success of the project, an award giving ceremony was held for learners who excelled and successfully completed the project requirements. This was held in February and March 2013 for Limpopo and Gauteng respectively. With the overall aim of developing community and cooperative societies’ understanding and appreciation of Public Interest Litigation, we worked together with an organization called SEINOLI based in Lesotho, to initiate Public Interest Litigation Theatre™. According to Fiona Darroch, SENOLI ‘is a group of lawyers who are providing access to the law for people and communities who have suffered unfairly following the creation of the Katse and Mahale dam under the Lesotho Highlands Water Project’. SEINOLI is supported by Protimos; Lawyers challenging poverty, a UK based charitable organization. Provides a general preparation to inspire learners and teachers about schooling and how it links to the overall development of a given country. Expose school community (including governing bodies, educators and administrators) in appreciating the support needed to improve the quality of education. Provides an opportunity for learners to engage with ‘problem areas’ in their respective subject content. Introduces experiential learning to learners and teachers. Practically prepares learners on exam tips and techniques, making use of past and mock exam question papers. Introduces the Madame/Sir examiner and group marking to demonstrate how one can earn or loose marks in an exam. Influenced by McKinsey’s 7S model, we focus on the soft elements in team or project managements: Shared values, skills, staff and style. Working together with content specialists, editors, designers, we produce materials and toolkits that meet your desired needs. Using our state of the art production equipment, we work with experienced camera crew, editors, script writers, presenters and actors and offer quality productions.